Claudio Ranieri claimed that he was extremely surprised but happy to see an extraordinary acknowledgement from Chelsea supporters and players for guiding Leicester City to Premier League successful season. Ranieri has managed at Stamford Bridge since leaving the club in 2004, but he is unlikely to forget the memories on May 15. After having just won the league title by a whopping 10 points, Leicester City came into the final game of the season at Stamford Bridge as champions. This game was more special for Chelsea supporters, who were seeing the former manager return immensely successful. Leicester City showed the fighting spirit that they have displayed throughout the campaign to get a 1-1 draw. Manager Guus Hiddink claimed that the game was typical end of the season affair, but the home team took the lead through Cesc Fabregas from the penalty spot. This was sixth goal of the season for the Spaniard, who has been one of the better players in the second half of the campaign. The result also means that Chelsea have now gone 12 matches unbeaten at home in the league since the arrival of Hiddink. Ranieri, meanwhile, thanked everyone for the amazing reception that he received. The Italian was given a guard of honour by the Chelsea players prior to kick-off. “My emotion was at the maximum. It was a fantastic welcome back from everybody. From Roman Abramovich then from all our fans and all the Chelsea fans. It was an amazing moment for me. My emotion was at the maximum. We wanted to keep a clean sheet. It would have been our 16th of the season. We were a bit unlucky. But it was a good match. 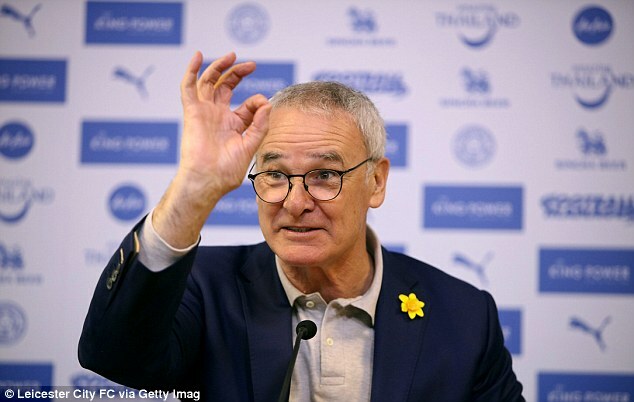 In the first half, Chelsea had lots of chances, in the second half we were better,” said Ranieri.